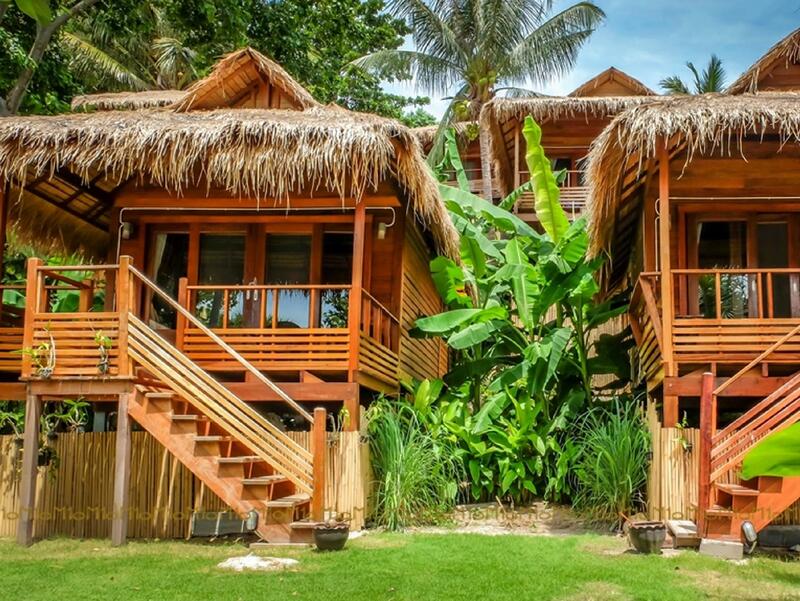 ﻿ Ten Moons Lipe Resort, Koh Lipe - SAVE ON AGODA! 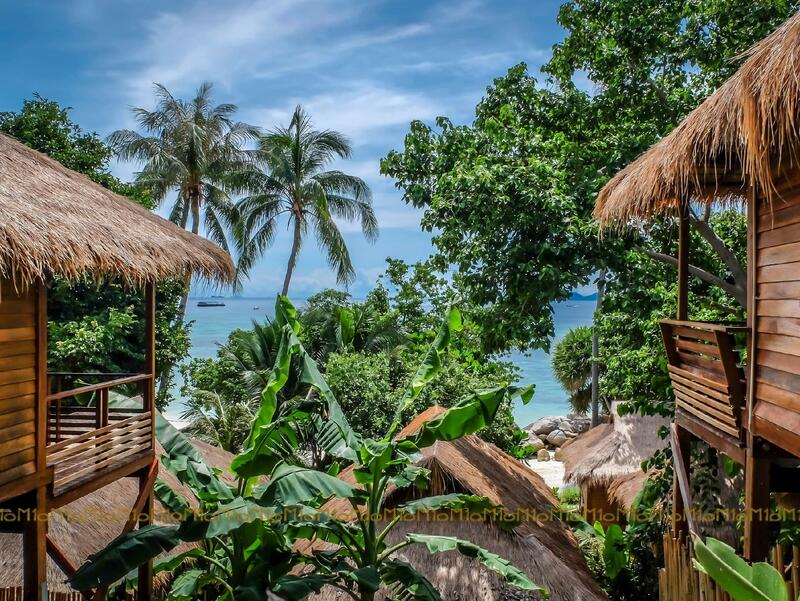 "Rooms are clean and comfortable and the staff are all friend..."
Have a question for Ten Moons Lipe Resort? "I think this is the best resort along Sunrise beach." "The food in the cafe was great and reasonably priced." Conveniently located in Koh Lipe, Ten Moons Lipe Resort is a great base from which to explore this vibrant city. The excitement of the city center is only 1.1 km away. With its convenient location, the hotel offers easy access to the city's must-see destinations. 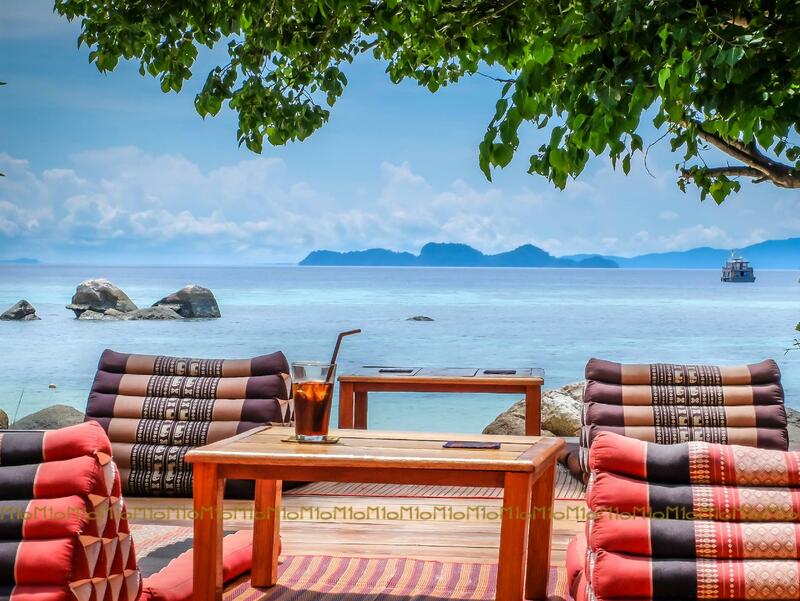 Ten Moons Lipe Resort offers impeccable service and all the essential amenities to invigorate travelers. The hotel provides free Wi-Fi in all rooms, daily housekeeping, Wi-Fi in public areas, restaurant, laundry service to ensure our guests the greatest comfort. All guest accommodations feature thoughtful amenities to ensure an unparalleled sense of comfort. Throughout the day you can enjoy the relaxing atmosphere of the private beach, diving, garden. Enjoy unparalleled services and a truly prestigious address at the Ten Moons Lipe Resort. The resort definitely had the best beach and sand on the entire strip. It contained the best place to snorkel with tons of coral reefs and fishes and the snorkel gear is all free to rent. The staff was all very attentive - they picked and dropped us off from Bundhaya Speedboat. The food is delicious however more pricey than going into town but that is expected for the view and location. If we were to come back to Koh Lipe, we would definitely come back to Ten Moons! My husband and I chose to stay here for our honeymoon after reading some fantastic reviews. We were not disappointed! If anything we were blown away by the friendliness of the staff, the cleanliness of the beach and the environmental ethos of this resort. Ten Moons has a beautiful private section of sunrise beach with an area close by to snorkel in. It’s nearby some great restaurants (including its own) and the island itself has lots of fun activities for those seeking adventure. We highly recommend staying here! The Staff was very friendly and helpful. The breakfast is very good every morning. The rooms were incredible. View of the Ocean was perfect. Great Snorkeling. We had our best time here. The staffs were very friendly, attentive and helpful. I lost my camera whilst paddle boarding in a high tide. The staff named Khun Dung help finding it after his many dives. Thanks to him we could keep our memories with us. The location is also great. We can see sunrise in a few walking steps. Highly recommend! 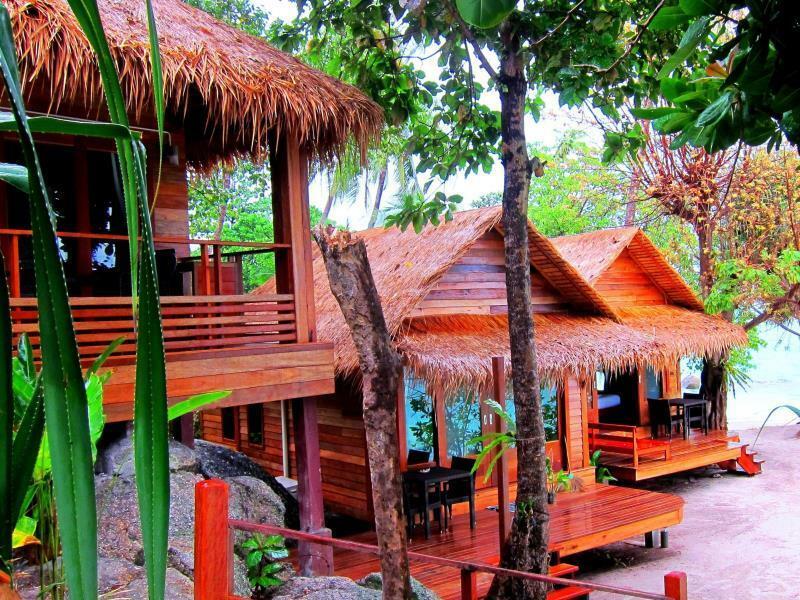 Lovely rustic resort set in the jungle overlooking an idyllic relaxing beach. Fabulous friendly staff and owner, very good restaurant, and the breakfasts were the best. Quite a walk into town, and a bit of a trek at night in the dark, torches definitely required, or a motorbike taxi is recommended. A lot of stairs up to the road, if you are not fit it would pay to get a bungalow on a lower level. I think this is the best resort along Sunrise beach. Secluded yet has easy access to Walking Street for food and shopping. The resort provided two ways transfer without charges. Stuff are all efficient with their duty. Food is decent. Room has large balcony and drinking water dispenser. The location of the resort is tip top. White powdery sand and heaps of tree to give shelters . The only thing you need to be aware of is the stairs. If you have problem climbing stairs, then check with the resort if you can book a chalets by the beach. I will definitely come back here again. Pros - getting picked up on arrival beach and taken to beautiful Ten Moons was perfect! The two beaches are the nicest on Koh Lipe wth the best sand, and great snorkeling without the worry of long tail boats! The staff are so nice and helpful (found my missing luggage for us and had delivered to resort). There were beach toys for kids and a giant flamingo floatie for my family to enjoy :) also snorkeling equipment for everyone to use whenever we wanted. There are some stairs but totally fine and the great view rooms have an amazing view - worth the 2 min walk! Would stay here again for sure. We loved it!! We stayed at Ten Moons for 5 nights for our pre moon. We could not have asked for a better experience. From the moment we got off the long boat we were in heaven. What a fantastic little place. The staff are all so friendly and welcoming. The food at the restaurant was great and having your own little beach was so lovely and relaxing. It can get a bit windy but we just did the 25 min walk across to sunset beach if it was too much. Our room was divine! And we loved waking up to that view!!! Thank you so much to all the staff, we will be definitely be back. Wow. We spent 3 nights at Ten Moons and were blown away by the location, the views, but most importantly, the amazing staff. We felt welcomed and well taken care of, which is not at common as you think it would be. The food and drink in the on-site restaurant and bar was wonderfully diverse, well prepared and so good that we never ate or drank off-property. We wish now that we had booked more time here on our Asian adventure. We definitely plan on coming back someday. Oh, and the rooms are gorgeous and sparklingly clean. The only thing we didn't care for, was that the bed was too firm for our taste, but it didn't take away from our stay. Thank you Ten Moons for a spectacular weekend!!! Perfect place to be in the daytime if you want to relax on this beautiful island and the view you wake up to is stunning! The location is great for beach but a little bit of a hike to the main bar/restaurant/shopping area. However the staff are happy to arrange transport that is extremely cheap and convenient and plenty of cheap transport waiting in town to bring you back. While the hotel is beautiful and the setting is stunning the thing that really makes this place is the staff. So friendly and helpful, can't do enough for you....especially Panida (or "chocolate").......who is one of the best bar managers I have ever come across. One thing to remember is, if you're not good with stairs make sure you specifically request a room on the lower floor as the top floors have fantastic views but it is a climb! Overall, not cheap but if you're not on a tight budget it's worth a visit. The staff, location, and the food were amazing here! We cannot compliment the staff enough. So friendly and so helpful. We ended up eating most meals here as well since their restaurant is delish with a great variety. The beach is perfect and more secluded. The snorkeling right off shore is amazing. Mo the receptionist was so sweet and welcoming. Our room was great and we were provided with plenty of mosquito spray. While we usually don’t repeat countries we visit in our travels, we will definitely be returning here! I wouldn’t stay anywhere else! And we miss Tony the dog! He is the best at digging for crabs! Everything stood out ... starting with the location of 10 Moons on KoLipe. The beach is very private & gorgeous with a smaller island to enjoy right off the shore. The accommodations were native and well done with fantastic views. The food and wait staff were terrific. The management and owner provided super hospitality and really care about your experience. I hope to be blesssed with another trip to 10 Moons in my lifetime. The waters were warm and a beautiful aqua blue. The swimming, snorkeling and scuba diving was awesome. Go Go Go to 10 Moons. You’ll have a fantastic time. Absolutely fabulous resort. Beautiful location the staff and owner were so friendly, helpful and made the vacation wonderful. They get to know you personally. The restaurant at the resort was also fantastic. Will definitely be back to visit! Great weather , Great sea , Great staffs , Great beach , Great service This resort comes with private beach and they provide ferry transfer via sea which made you different from other tourist. We did not manage get beach resort which is 15 steps from the sea. The European owner will ask you to do nothing and sit back will his staffs will serve you. Just remember to grab your free flippers and snorkeling kits from the counter during the snorkeling tour provided by third party.... We have donated two new sets of snorkeling mask for your use.. Happy Holidaying !! We loved our five nights at Ten Moons and would recommend the resort to anyone traveling to Koh Lipe. We were two families with 8 children collectively, ages 5 to 13. Ten Moons was absolutely perfect. The beach is the best on the island, with rocks to climb on, shallow water to wade in, lots of space for sandcastles, good visibility from the terrace for the parents so the kids can play in the water independently, a fabulous tree for the kids to climb on and play in, hammocks and a swing, and decent snorkelling right off the shore. The staff was wonderful, the breakfast was tasty and copious, the rooms were quiet and spacious. The resort offers free use of their snorkelling equipment. We will definitely return if we get a chance! Right by a very biutiful beach. Everything was good. Nice view. Lots of stairs though, but this didn't bother us. Ten moons !! Hands down a great loction at the end of Sunrise Beach. Great spot for snorkling right outside your door! The sand is so soft. Great bunglows, all have excellent views, you can't go wrong. Staff is topnotch always willing to assist. Breakfast is delicious. Banana pancakes so cute and small.. Dinner was perfect relaxing and enjoyable by the quiet beach and food was wonderful, great options! Thank you Ten Moons! We traveled all over Ko Lipe and 10 Moons by far had the best beach and view. AND it was hands down the least crowded. The food at the restaurant was delicious. We stayed in the Grand View and it really was incredible. A beautiful view. All of the staff was helpful and kind. One of my only complaints about the place was it was a hike to the room from the beach. So many stairs and steep too!! But, that's the price you pay for the "grand view" I suppose. Was always worth the hike! :) Would 100% come back! !